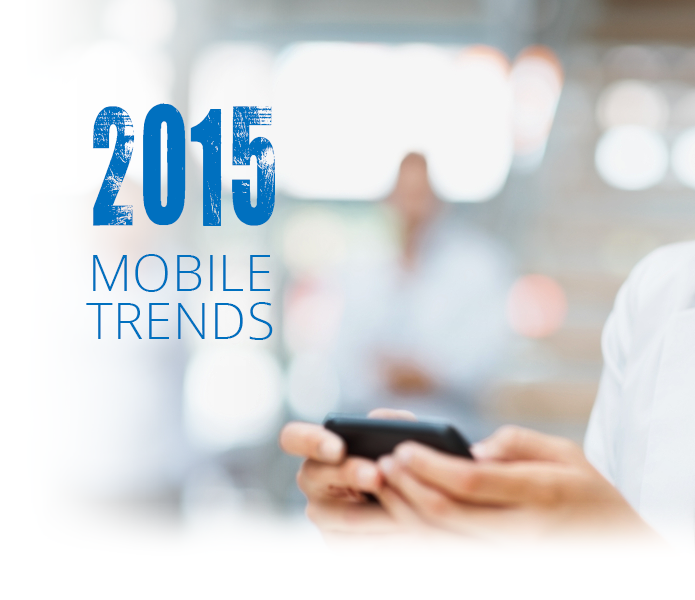 In 2014, we witnessed several exciting developments in the world of mobile. Microsoft bought Nokia’s mobile devices unit and Lenovo purchased Motorola from Google. The rise of Chinese smartphone manufacturers threatened large players, while One Plus launched the Flagship Killer with an innovative marketing scheme. Apple gracefully accepted the large-screen phone revolution by launching the 5.5-inch iPhone plus, and completely revolutionized payments with the launch of Apple Pay. Wearables like Google Glass, Smart Watches and various fitness trackers were the showstoppers of the year. Mobile is set to create an even bigger impact this year by bringing truly engaging experiences into consumer hands. As mobile usage continues to rise and shape consumer expectations, brands will have to re-think their strategy to win, serve, and retain customers. Mobile is now the primary source of information and action. Due to its effectiveness and the ability to reach people anytime, anywhere, every brand needs an effective mobile marketing strategy. Here are some trends that brand marketers need to watch out to stay on top in 2015. Native Advertising emerged in a big way in 2014, and will scale further this year. Native advertising is more engaging, less intrusive and enables sophisticated campaigns. As more innovators enter this space, they will address challenges such as the nature of the ad format and scalability. Advertisers will place higher bids on an ad unit that mimics the form and function of the platform, leading to more clicks. With increased demand, the industry will innovate to offer scalable native ad solutions. Wearables like Google Glass, Samsung Galaxy Gear, Sony Smartwatch, and the Microsoft Band debuted in 2014. Apple’s blockbuster release in 2015, the iWatch, will further accelerate interest in this technology. As wearables monitor vital signs and movement, consumers will start relying on them and the data they generate. In turn, wearables will present brands with opportunities to understand consumers better and personalize content for maximum engagement. Programmatic advertising, involving automated buying of advertising inventory, will further evolve in 2015. According to the IDC, global programmatic spend, including all mobile, online display and video advertising will account for USD14.7 billion in 2015 and USD 38.1 billion by 2016, leading to more than 50% of total global display ad spend bought programmatically. Sophisticated mobile marketers will soon realize that manual purchasing is a slower approach that requires time and resources. With real time bidding, marketers will efficiently eliminate human involvement to deliver automated campaigns. Arguably, location sets mobile apart from other forms of media. Geo location and Geo tagging technology, used to pinpoint users, will further mature and see an upsurge in popularity among brands. So far, marketers have experienced challenges in reconciling location-based marketing data to uncover useful insights. This year, Brands will use geo information to develop relevant contextual content and predict which locations and segments are most responsive to campaigns. In 2015, brands will look to integrate video ads with mobile devices. Video is a natural medium for mobile advertising. It enables creative expression without the need for complex formats like touchable or shakeable mobile ads. With Video ads, brands will convey the traits they want to be associated with, explain their offerings, and drive greater engagement. According to BI Intelligence, Mobile Video advertising will grow at a CAGR of 76 per cent between 2013 and 2018, second only to Mobile display advertising. Beacon technology, the next big revolution in mobile shopping and payments, bridges the gap between physical locations and digital experiences. This year, the iBeacon ecosystem will change many industries such as home automation, event management, schools and hospitals, restaurants, advertising, games, smart cities, and much more. Mapping, along with beacon technology, will create micro-fencing and enable brands to send store maps, special offers, and location based personalized promotions to consumers who have opted-in, expanding advertising possibilities during shopping. Mobile payments will become safer and easier in 2015. The industry will witness extensions beyond Apple Pay into multiple implementations of NFC technology. Brands will place mobile at the top of their digital strategy, partnering with retailers offering bespoke mobile-only m-commerce solutions and payment options to drive sales and loyalty. Opportunities in developed markets will continue to rise with increasing adoption. Brand marketers will finally be able to reach and influence consumers at the time of purchase. As we move into 2015, the mobile ad-tech ecosystem will further mature as adoption increases. It is critical for marketers to be on top of these trends and grab early opportunities to engage and differentiate. At InMobi, we’re looking forward to the evolution of mobile marketing towards even more ROI maximization.